Every major MLM trainer always says to work on yourself. They say to read books, listen to audios, and go to live trainings. They are right – we should always be working on our mindset. You can call it mindset insurance because there will be plenty of times when your mind will wonder off which will not serve you when you are trying to achieve your goals. Grab your TWITTER LEADS TRAINING Here! One of the easiest ways to work on your mindset that I have found is listening to podcasts. They are audio programs that people create that you can subscribe to and listen anytime you want. – Eric is the Godfather of Network Marketing. He has a wealth of knowledge that he has been sharing via his videos and podcasts. Eric's podcast are usually around 5 minutes which is great for a person with ADD/ADHD like me. – Ray has become one of the most thought after trainer in our space. The guy went from having his home in foreclosure to making 7 figures in the industry. His podcasts are usually around 10 minutes and he likes to answer questions. – Brian Fanale has been hosting top industry leaders for years on the My Lead System Pro wake up calls. They are at 11 AM ET from Monday through Friday but don't worry because you can listen to the podcast any time if the time doesn't work for you. – Mike Dillard introduced the MLM world to attraction marketing when he published Magnetic Sponsoring. Mike interviews famous authors and business leaders. It's amazing what you can find out on his podcasts. These are incredible podcasts that will keep your mind in the game. One of the coolest things about podcasts is that they are free. 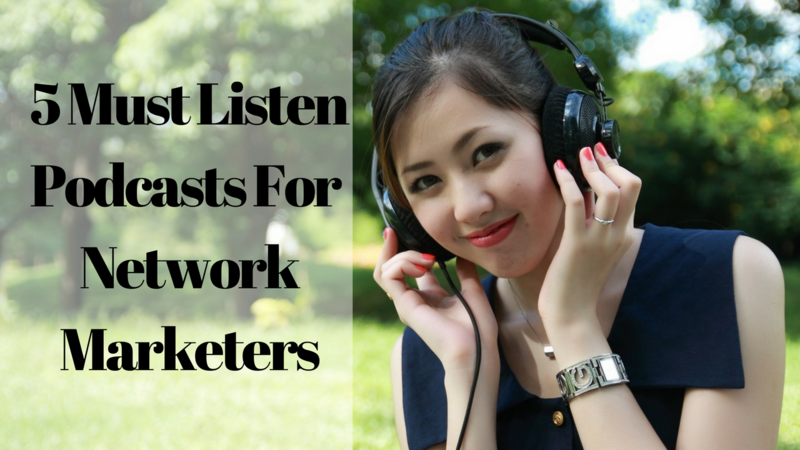 So if you are just getting started in network marketing or a home business then you can afford to listen to podcasts. – The number ONE Business and Life Strategist. If you want to see him in action then check out the documentary on Netflix called Tony Robbins: I'm Not Your Guru. Be warned: you will cry. – Dean Jackson and Joe Polish have been having killer conversations about marketing and now you can listen in on their podcasts. You don’t have to invest any money to start working on your mindset.